2018 has been a big year for PropTech. As the year comes to a close, we’re taking a look back at some of the year’s more powerful – and insightful statistics, in order to help you inform future operational decisions and enter the world of innovative real estate tech and AI in 2019. Namely, what you need to know to more efficiently manage your facilities, improve the tenant experience, retain more tenants and boost your revenues – in a nutshell. 2018 in PropTech, here we go. 1. Maintaining high tenant satisfaction is top priority for 97% of facility and real estate managers. The modern tenant desires more than a space to call home (or work) from any real estate facility. They seek a full-service property, one capable of anticipating and meeting their every structural, aesthetic, maintenance and digital need. For landlords, that means investing in PropTech to obtain actionable data on their facilities, and acting on analyzed data to improve the end-user experience through the implementation of competitive differentiators, such as rent tracking, maintenance processes optimization, collaborative consumption optimization and more. While 68% of property companies are willing to try new and innovative tech products to help manage their facilities, 30% remain on the fence, preferring to wait until the tech is market proven. That being said, over 57% believe that adopting tech will provide their facilities with added value. In a nutshell, PropTech is viewed as instrumental to facilities’ success, though its implementation is still in its infancy. To get ahead of the competition and provide a superior tenant experience in the here-and-now, the need to invest in PropTech far outweighs concerns over new technology’s proven success and should be acted upon as soon as possible. 3. Most real estate facilities still manage nearly $24 trillion in assets using disconnected systems and printed spreadsheets. Despite significant innovations in the fields of machine learning, artificial intelligence and data analysis, CRE industry players are only beginning to understand the need for the wealth of available data to be seamlessly and continuously translated into smarter decision making using the latest technological advances.The aggregation of existing data from multiple disconnected systems and organization is possible today thanks to machine learning algorithms and should be harnessed to prevent issues, predict future trends and understand previously hidden facility pitfalls. Doing so will boost operational efficiency and increase returns across the entire CRE ecosystem. The real estate industry has learned that PropTech, including AI and IoT, is needed to drive operational success. This year, the industry further learned that for IoT to realize its full potential, all that data from smart sensors and devices needs to be analyzed and communicated with relevant personnel, in real-time, to prevent and correct errors, maintain buildings and keep operations running smoothly. Advanced, intelligent and real-time information processing, analytics and notification must be adopted as core competencies in the digital era – without it, facility maintenance applications will fail. 5. Implementing PropTech in CRE facilities has been found to correlate with and 81% improvement in retention through enhanced facility performance. AI-based PropTech seamlessly and intuitively connects various facility personnel with the data they need to effectively communicate and deliver superior management results, while reducing the stress of daily operations; measurable internal benefits that together contribute to a more productive work environment and provide added value to all those who come into contact with the facility. This added value encourages tenant retention, as they have no need to search for other places of business to rent. Want to harness the above impressive 2018 PropTech stats and drive operational excellence in the New Year? And discover what Okapi can do for your company. For more information, visit http://sites.lm-studio.co.il/okapi/. Alina brings a wealth of experience in operations, business development and organizational transformation in the Property and Facility Management industry. Respected for abilities to lead organizations to achieve exceptional results. A visionary, who challenges traditional methods and willing to take calculated risks. Has demonstrated ability to think strategically, act tactically and to have the strength of character to motivate others to buy into ideas, concepts and values. In her current role, Alina is responsible for leading innovation initiatives involving new technologies, such as AI, IOT, data strategies, robotics and other in order to deliver concrete, measurable business outcomes. Maya Gal is Chief Revenue Officer and Co-Founder of Okapi. Maya is a thought leader, best-selling author and global expert in Artificial Intelligence. Her work combines AI and machine learning to provide real time operational notifications and business insights. She is passionate about helping users interact with data and co-founded Okapi – an AI based platform for operational excellence. Prior to Okapi, Maya worked at Ness Technologies as Project & Consulting Division Manager. She has also served as CTO and co-founder of Hi-Teach – and e-learning platform. In her past she held the positions of R&D Manager at Microsoft and at Knowledge Management leader at Amdocs. Maya holds a BS.c. degree in Industrial Engineering from the Tel-Aviv University and participated in Executive Management Training program in IDC. She is a 2013 Fellow in the Startup Leadership Program and a co-author of the best-selling book “Six Steps to Operational Excellence”. Iris Tsidon is CEO and Co-Founder of Okapi. Iris is a seasoned executive, leader, strategist, and has a clear understanding of what organizations needs to succeed. Combining her expertise in organizational processes with cutting edge Artificial Intelligence technology, she co-founded Okapi – an AI based platform for operational excellence. Okapi has successfully been implemented, helping many companies achieve their strategic goals with data-based decisions that not only improve operations but dramatically increase revenue. Prior to Okapi, Iris worked at Ness Technologies, where she served as VP Division Manager of BI. She has also worked at Gilon BI where she held the position of COO and served as VP HR at several large industrial companies. Iris holds an MSc degree in Behavioral and Management Sciences from the Technion Institute and participated in Executive Management Training programs in INSEAD. She was recently chosen to participate in the WEACT women entrepreneurs mission to Silicon Valley and is a co-author of the best-selling book “Six Steps to Operational Excellence”. Alexis is a practitioner with over 20 years of experience in Innovation, CRM, Data Analytics, Data Management, Product Development, Data Governance, Strategic Partnerships, Customer Experience, Geo-location and traditional mass media. In her career, she has led both product development and professional services teams delivering innovation, customer insights, business analytics, acquisition and retention solutions for a broad range of industries including retail, energy, financial services, telecommunications, and automotive. She currently oversees Capgemini’s Applied Innovation Discover Center which is one of the core North American hubs providing access to the global Capgemini Innovation network. Core to the center’s mandate is to work with companies to harness the full eco-system of new technology from start-ups to established technology providers, to drive applied business solutions that enable digital transformation and customer satisfaction. The ability to analyze our work orders through the app helped us decrease our work order response time drastically, without having to spend hours digging through printed reports. Operational teams struggle with different systems to get reports, and it is humanly impossible to understand the data in real time. The Okapi tool uses Artificial Intelligence not only to give them access to the data but also to interpret the data for them. The new ZIM pulse system powered by OKAPI, allowing ZIM, a Global Shipping company, to closely monitor and react to events at real time. The platform is easy to use, enables and draws the immediate attention of our management team to recognize daily opportunities & risks. The AI data analysis and the usage of state of the art technology, is a game changer that upgrades ZIMs capabilities in our everchanging and competitive industry. 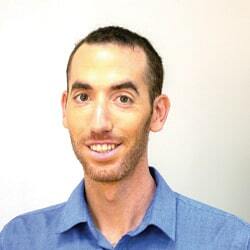 Amitai has been a Program Manager and Chief Systems Engineer in leading IT companies for over 15 years. During that time, he has worked at Intel and Texas Instruments, specializing in product development and design, system engineering, and project management. Gal is an established manager of international channels, sales, service, and operations. With strong leadership and management skills, including Corporate VP Channels, NICE Systems, and Executive VP Sales, Radcom , he brings his experience to the Okapi table.